Toshiba has become the most popular brand name for many kitchen, home and electronic appliances and devices. 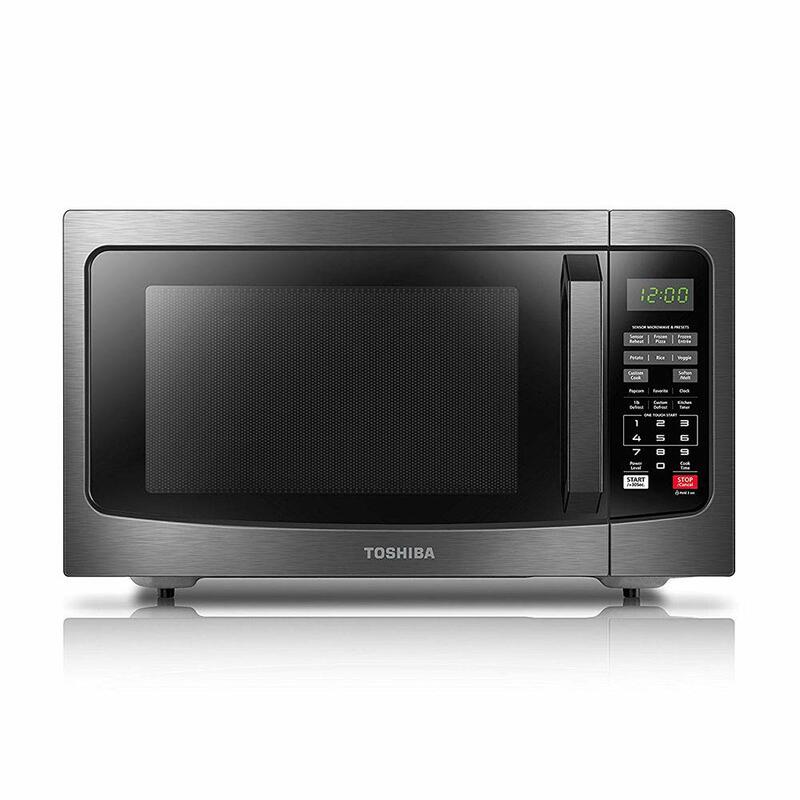 If you are looking to buy a microwave oven that delivers the best performance, please check Toshiba EM131A5C-BS Smart Sensor Microwave Oven. It comes with 1.2 cu. ft. interior capacity, ECO mode, sound on/off, easy-clean interior and many other advanced features. These advanced features will surely help you in the easy and efficient cooking. The 1100 watts microwave oven by Toshiba has pre-programmed sensor menu for the best heating of famous food items like potatoes, pizza, veggies and many others. This Toshiba microwave oven comes with black stainless steel exterior that measures 20.5 inches wide, 17.1 inches deep and 12.8 inches high. It has large 1.2 cu. ft. capacity and the cavity measures 13.07 by 15 by 9.5 inches. The turntable is of 12.4 inches diameter. The Toshiba microwave oven has 1100W cooking power and 10 power settings. It has other impressive features such as clock, kitchen timer, large digital display, easy to read control panel and glass turntable. Further, Toshiba EM131A5C-BS has 1-touch start popcorn and 2 defrost settings. The Toshiba microwave oven also comes with custom and one-pound auto defrost and 12.4 inches diameter turntable.